Does this scenario sound familiar? You have taken a good look at your website and realized nothing has changed since 2002. The colors remind you of the fluorescent days of the 80’s; it’s clunky and takes you two hours to make one change, or you just hate it so much you just pretend it doesn’t exist. 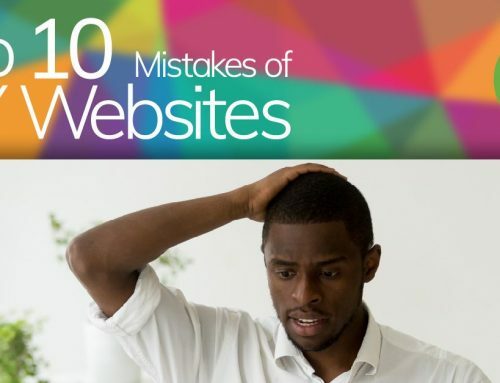 In this digital age, your website is crucial to your business—you can’t afford to have an outdated website. As Project Manager at Art Unlimited, it’s my job to make sure you get the website you’ve been dreaming of, even if you’re not entirely sure what that looks like. If you’re thinking about getting a new website, here are some tips from our Development Team to make the process go as smoothly as possible for both of us! Although we wish they did, quality websites don’t appear overnight. There is a lot that goes into building a website from the ground up. We build your website to suit you and your needs, so the process starts with designing your home page and a subpage. This takes some collaboration to dial in exactly the vision you have in your head. From there, the website literally has to be built with custom programming. From there we are able to place content and pictures to make it look perfect. When we have it programmed to look pretty on every device type that will view the end result, we will let you do your review. At this point, there are inevitably a few tweaks to make, so we make those according to your recommendations. When you decide it’s perfect, it gets launched. The whole process start to finish often takes about eight weeks, but is dependant on the ability for us to meet with you and receive the information necessary to make the website look amazing. All along this process, we will need your feedback. This is your website, and we’re here to make it the way you want it. So, there will be many times throughout the process where we will need your feedback; probably so much that we can’t move forward until we get it! In order for your website to be built according to its timeline, we need you to stay involved. We know you’re busy running your business, but in order to make you look digitally amazing, we need your help. Communication is critical in order to keep your project moving forward. Your online presence is comprised of multiple parts and pieces. These include your domain, your hosting account, and various other accounts for social media and SEO. In order for them to work together, there are settings that need to be adjusted correctly on those accounts. We will need access to the various accounts so that we can make the needed adjustments. So please, make sure you have updated login information available when we get started on your project so we can store all your information in a secure place. So you inherited, bought into a business, or were really into funky tones back in your youth that make up your easily recognizable logo, but maybe you want to update it. If we don’t know that, we will assume this is the brand you want to continue to be recognized with and put it in prominent places in your new website. Please be honest with us and tell us if you’re just not feeling something. Whether it’s something you’ve had all along, or if it’s an element of a design that we make for you, we would like to know. It won’t hurt our feelings! Again, this is your website, we want you to love it. If your website needs a major update, connect with our experts at Art Unlimited and let us set you up with a new one. Remembering these tips can help make the process go as smoothly and as quickly as possible!